how does deep vein thrombosis develop? 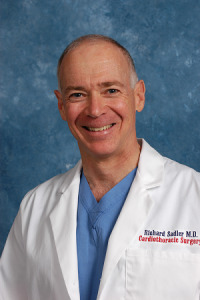 » Watch Next Video by Richard Sadler, MD, FACS - What is the VNUS closure recovery time? How does deep vein thrombosis develop? People often come to the office and are quite concerned about the potential for the development of deep vein thrombosis which is clearly something that we see in the media all the time. Chronic venous insufficiency is a problem when blood is not able to return the heart due to excessive failure of the vein. This in and of itself is not a cause for deep venous thrombosis. Deep venous thrombosis occurs because, for one reason or another, blood flow through the deep veins is not normal and the blood forms clots. Again this is not a problem associated with typical chronic venous insufficiency.